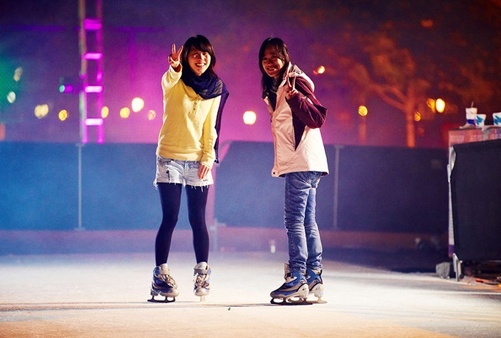 School and college events are perfect occasions to celebrate the festive winter season while adding a spectacular twist on the tradition of ice skating. Artificial Ice Events provides its customers with extensive experience in planning and delivery of winter special events. Create an unforgettable College Winter Weekend or Project Graduation theme by adding a synthetic ice rink to the party. Spin the fun with winter wonderland decor, thrilling ice shows, and great music while enjoying skating the day away with good friends. Turn the magic on with our synthetic ice rink rentals for skating year round.